Any business, regardless of the industry, needs an insurance policy. This is especially true for startups, as they need coverage for protection against huge financial losses due to inevitable claims. 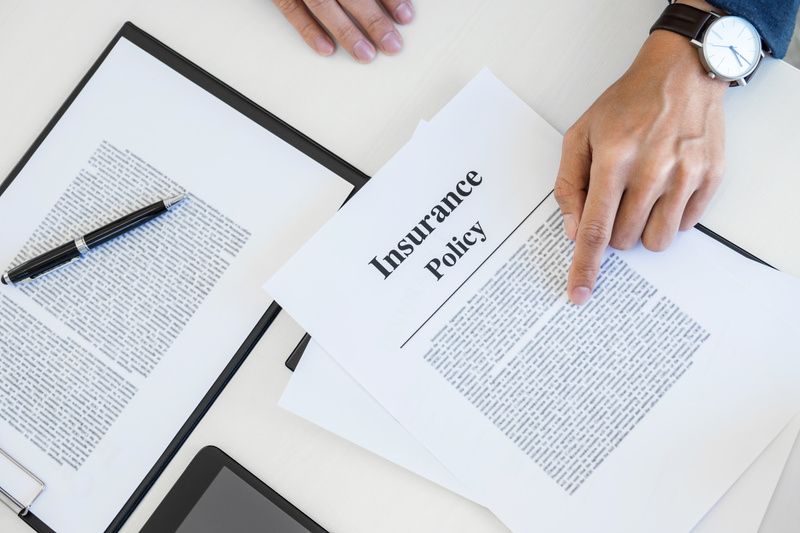 There are so many insurance products and services available, and the selection process becomes even more daunting since not many aspiring entrepreneurs are aware of the policies specifically created for startups. The key here is to see commercial insurance not as an additional cost, but as a wise investment. It may be hard to think of in that way, but it’s important to consider the money saved due to having coverage in the event of a claim against your business. This is also why it is essential to keep your policy updated to meet the changing needs of your business. By buying the right coverage, you’ll have one less thing to worry about so you can concentrate on growing your business. Having commercial insurance also helps with attracting new investors. When they see that your business has solid protection against risk, they’ll be more likely to put their money toward your business. Also, because any business comes with risks, your startup will look more professional and valuable when there is comprehensive coverage. For example, if an investor is on your board and is, for some reason, sued for mismanagement of funds, they’ll want to be covered by your Directors & Officers insurance. Give them peace of mind by showing them you were responsible enough to already have this essential policy. The world of business is ever-evolving and comes with a wide range of risks. The right commercial insurance policy should provide protection, not only to your products or services, but also to your property and employees. Imagine if you unknowingly hired an employee with sticky fingers and they stole co-workers' valuable items, or even property that belongs to your business. What would you do if you weren’t insured for situations like this? Having a stable business environment is a necessity for a healthy cash flow, happy employees, and having ability to keep your technology up to date. One of the many, important duties of business ownership includes hiring the right employees. It’s also essential to provide a fun and safe work environment that encourages teamwork and a healthy exchange of ideas. To create this experience for your employees, you’ll want to make sure you have Workers Compensation insurance. This helps protect your business in the unfortunate event one of your employees is injured on the job, especially if you know you wouldn’t be able to provide the necessary financial services they might require to get better. When you’re a business owner, it’s inevitable you’ll run into problems from time to time. This is why you need to ensure all aspects of your business—from property and office equipment to employees and clients or investors—are protected under insurance. Having commercial insurance gives you this. Not only does commercial insurance prevent you from having to shell out money that could put a huge dent in your bottom line, it saves you time and effort, because your insurance company will handle any claims that might arise. Commercial insurance is essential for any startup or small business, as it protects you and your property from huge financial losses. You may look at the premiums as an additional expense, especially for startups, but in reality, it’s an investment that will serve you well in the future. Sarah Mueller is a marketing manager at CoverWallet, a tech company that makes it easy for businesses to understand, buy and manage insurance - all online and in minutes. The company provides everything from general liability and workers compensation to directors & officers and commercial auto, and everything in between. The annual strategic planning process involves a lot of moving parts. This roadmap serves as a checklist to give you a bird's-eye view of the process to help you think through your goals and milestones through the year to keep you on track.